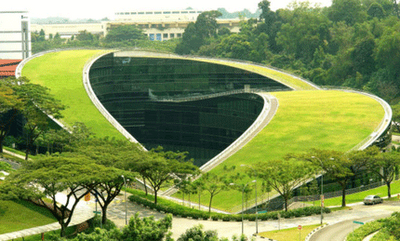 and 2007, from the School of Art Design & Media in Nanyang Singapore, by CPG Consultants Pte (via haute*nature). I love that the rooftop is functional space, accessed by a stairway that runs all along the sides. Picnic on the roof, anyone?